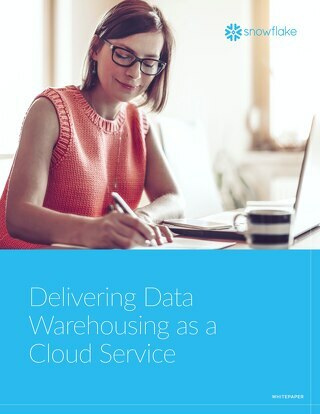 If you’re considering your first or next data warehouse, this complimentary eBook explains the cloud data warehouse and how it compares to other data platforms. 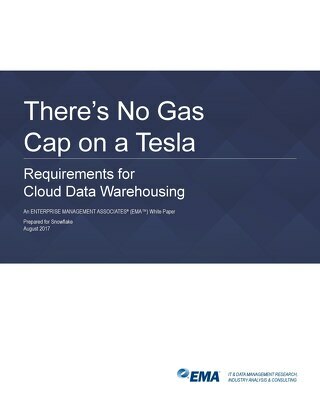 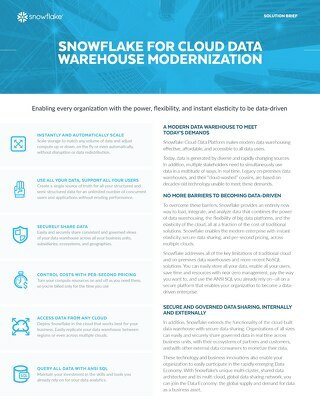 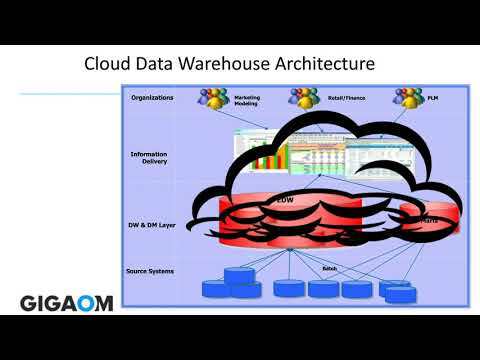 Download Cloud Data warehouse for Dummies and learn how to get the most out of your data. 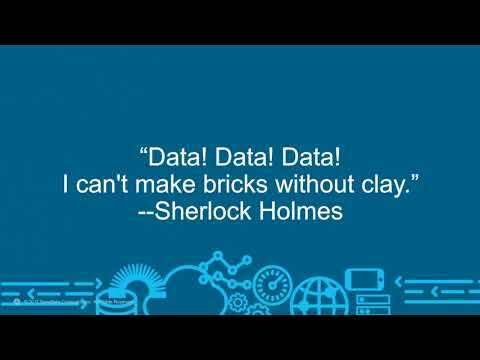 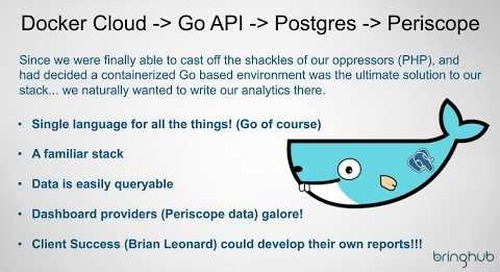 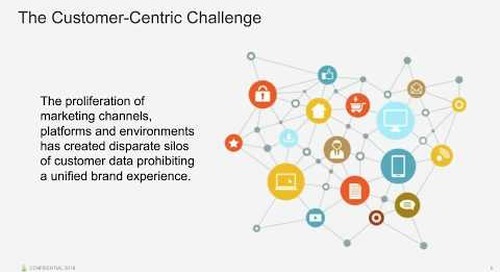 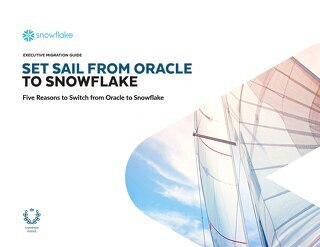 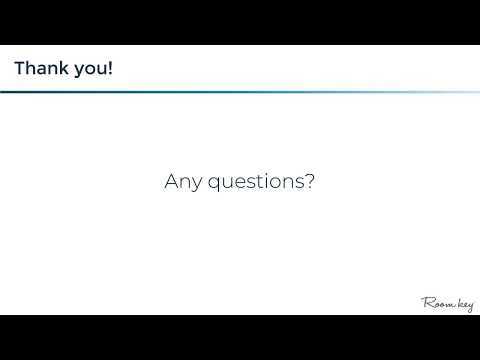 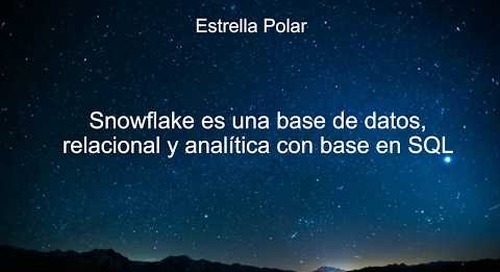 What makes Snowflake a data warehouse? 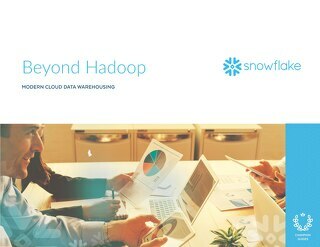 Snowflake has addressed all of the key limitations of traditional cloud and on-premises data warehouses and more recent NoSQL solutions. 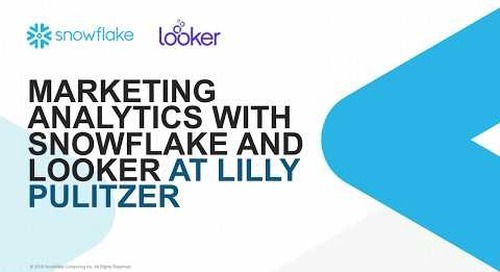 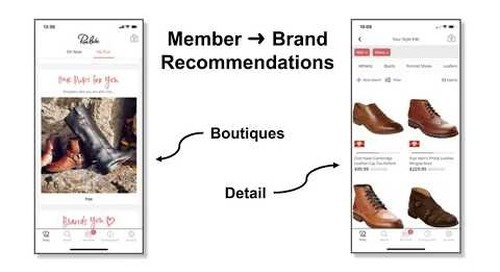 Hear how Lilly Pulitzer, a retail organization specializing in resort wear for women, used Snowflake and Looker to consolidate data sets and deliver real-time insights. 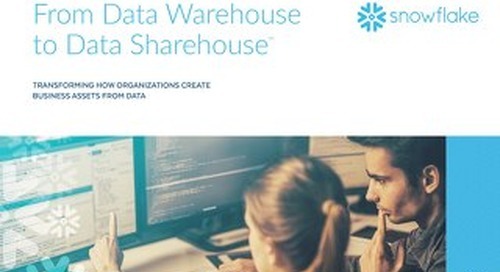 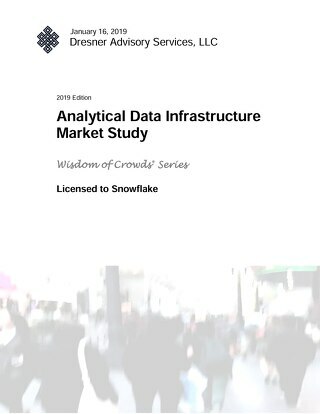 The Total Economic Impact™ Of Snowflake Data Warehouse-As-A-Service, a June 2018 commissioned study conducted by Forrester Consulting on behalf of Snowflake. 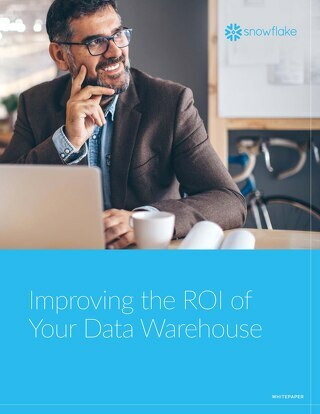 This POC guide will help you reveal all the differences between your incumbent data warehouse and one built for the cloud. 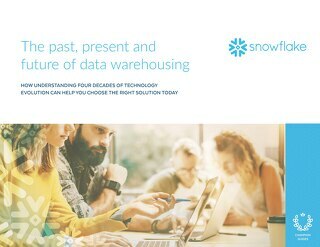 Join Snowflake, Matillion and Slalom Consulting to find out how companies are moving to modern, cloud-built solutions for fast, affordable and automated data-driven analytics.